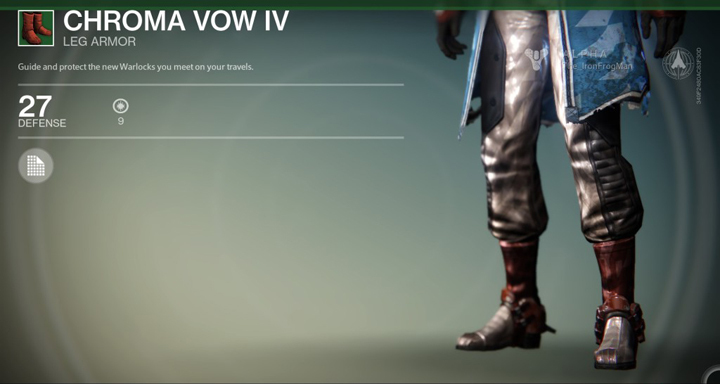 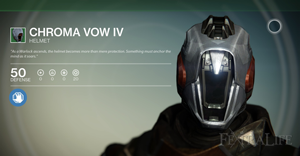 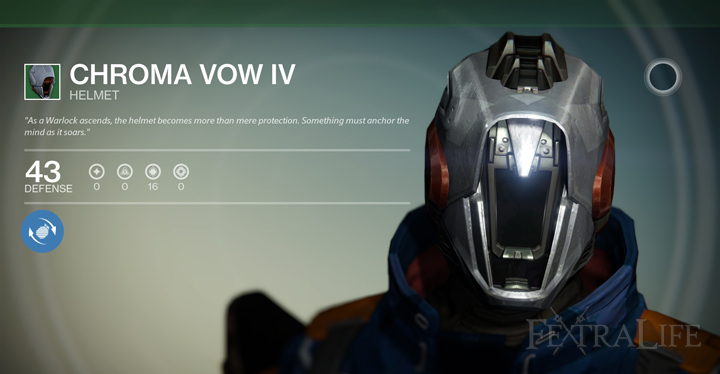 Chroma Vow IV is an Uncommon Armor found in Destiny. 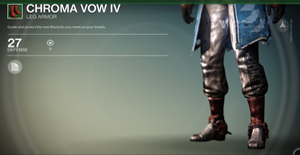 There is also other variations of this Armor, the only differences being cosmetic. 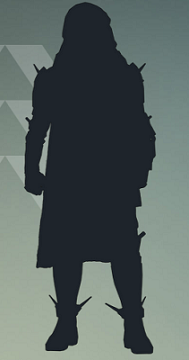 Each piece of comes with an random Armor Upgrade, except the legs.